An assured shorthold tenancy agreement is the schedule of terms and conditions agreed between a property owner and a person renting the property. The usual details cover the date rent is paid, the amount of rent and how much notice each side should give to terminate the agreement. Tenancy agreements vary between landlords and letting agents and are generally documents that are edited and added to over time. The tenancy agreement does not have to be written – a verbal contract suffices, but in the best interests of both parties, a written contract signed by the landlord and tenant are better. The agreement can last for any length of time, but they are typically for six or 12 months. An agreement with an end date is a ‘fixed’ tenancy and one with no end date is a ‘periodic’ tenancy. Most landlords favour 12 month tenancies as they can regain possession of the property quicker if the tenant is troublesome or fails to pay the rent. At the end of six months, the agreement changes to a rolling tenancy. No new document is signed, the old agreement continues but is open-ended. Landlords give two month’s notice to end the tenancy, while the tenant can give just one month’s notice. 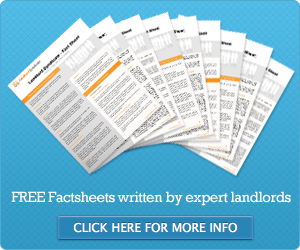 If the tenant fails to leave on time, the landlord can go to court for a possession order. Assured shorthold tenancy agreements can cover any issue, but the terms must be fair to the tenant otherwise the tenant can go to court and have the unfair clauses removed. Tenants in houses of multiple occupation (HMOs) or lodgers sharing a home with the landlord do not have assured shorthold tenancy agreements but a licence to occupy. The difference is an assured shorthold tenancy agreement gives exclusion possession of a home, while a licence is permission to use shared facilities.